Robbins' comments were reported exclusively by ITV news correspondent Angus Walker, who said he overheard Robbins discussing Brexit plans in a bar in Brussels. “Got to make [MPs] believe that the week beginning end of March... Extension is possible but if they don’t vote for the deal then the extension is a long one," Robbins said, according to the reporter. He also was overheard discussing the Irish backstop as a bridge to the UK's wider trade relationship with the EU, and how this bridge eventually transformed into a "safety net." 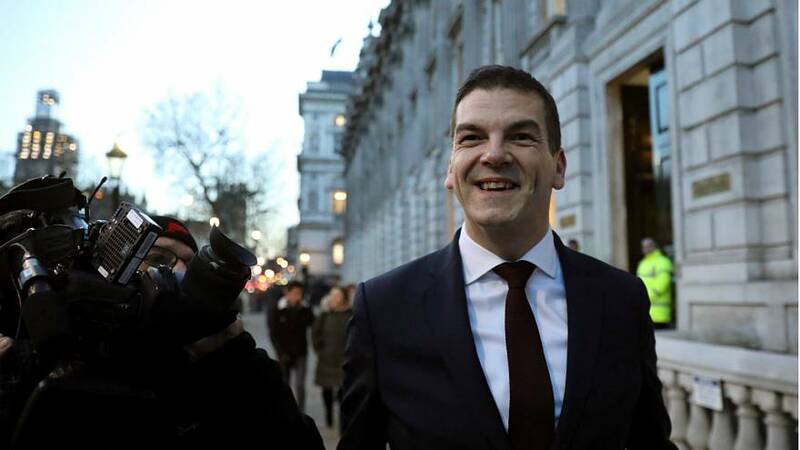 But several politicians have since played down Robbins' comments, particularly on that suggestion that May winding down the time before launching the options, which was previously believed to have been deal, or no deal. "We are committed to leaving on 29 March... any extension is not a unilateral decision," Brexit secretary Steve Barclay told the BBC's Today programme on Wednesday morning. Similarly, former Brexit minister Steve Baker said Robbins was "likely to be appalled by this story." "Officials advise. Ministers decide. What matters ultimately is the policy of the prime minister and the Cabinet." "If the PM decides we are leaving on 29 March, deal or no deal, that will happen."